We have to invest in building a bottom-up economy; We understand that wealth does not trickle down, and in fact poverty trickles up. Lifting those at the bottom through signing into law a $15 minimum-wage, and Paid Family Leave. When people are well enough to work, and have money in their pockets, they are able to spend locally. We need to invest in our downtowns and support the small business that make Vermont a great place to live. When we pull together community members, businesses, main streets, arts and recreation, we can build an economy that works for main streets, farms, consumers, and all Vermonters. We need to be supporting and promoting our already strong public schools, not closing them or underfunding them. Promoting our education system will attract families to the state. We can improve on that system by implementing the Ethnic Studies Standard; this would both make our schools more welcoming and teach the real history of our state and country. Finally, we can centralize services and community centers around schools, in order to give families easier access to these services. Additionally, this will relieve teachers of acting as social workers, and all children will receive a stronger education. We know that what we are doing when it comes to the Opioid Epidemic is not working. We need to invest in harm reeducation first; this means overdose prevention sites and clean needle exchanges. 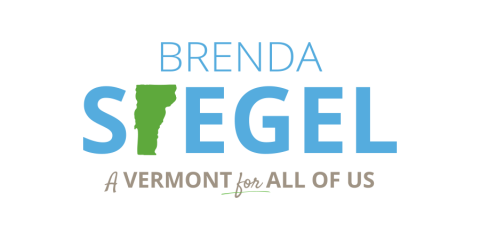 We need to fully fund Vermont’s Universal Healthcare, Act 48, to give people access to dual-diagnosis support. Reducing the stigma comes from understanding that opiate use disorder and mental health go hand and hand. Additionally, funding Act 48 will assist in accessing treatment on demand, so that people can get help when they want it. These initiatives can be paid for through a tax and regulate system for Cannabis. The RAND study, commissioned to study legalization in Vermont, gave an estimate from $25 million to as much as $75 million. The transportation systems that we have in Vermont are scattered, and poorly organized. With proper coordination, we know that in Addison County, the existing transportation system has the potential to be stopping at nearly every door. We need to look at our transportation systems all over the state, and find those that can be coordinated. Increasing the accessibility to transportation will help connect older and rural communities to their town centers and downtowns, as well as improve the lives of low-income Vermonters. Additionally, 50% of our carbon footprint comes from the transportation in the state: transforming our transportation will help us move more quickly to 100% renewable energy as well.